As a movie and jazz buff living in Europe, I myself was more looking forward to reading about ‘Cold War’, the follow-up to ‘Ida’ by Oscar-winning Polish director Paweł Pawlikowski which tells the story of a jazz singer’s failed romance in stunning and epic black and white scenes set against the backdrop of post-war Europe (yes I am an old man), but most of the Venice film festival audience indeed came to hear the press conference for ‘First Man’ the Hollywood Oscar-bait movie about the 1969 moon landing. When Neil Armstrong and Buzz Aldrin planted the American flag on the moon in 1969 it marked one of the proudest moments in US history which is typically shown in any US history lesson. 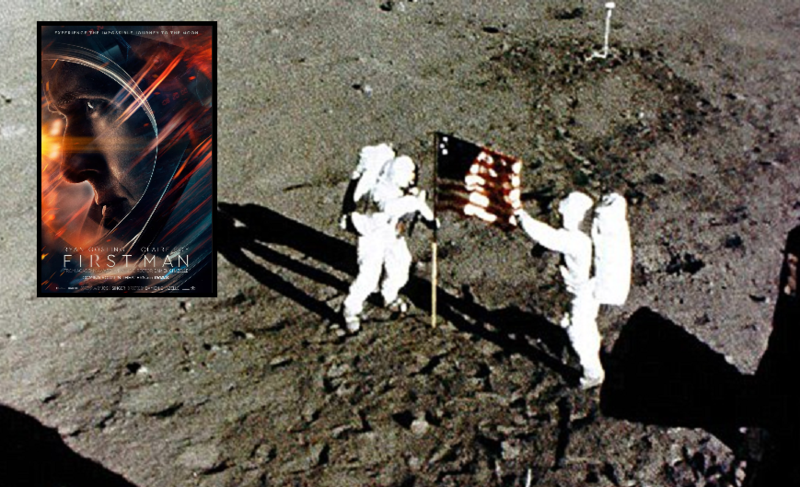 For a new film about Armstrong to leave out this most patriotic of scenes, Hollywood now seems to argue that the ‘giant leap for mankind’ should not be seen as an example of American greatness, but rather as a ‘universal development’ which transcends countries. The film’s star, Canadian actor Mr. Ryan Gosling, was immediately asked if the film was a “deliberately un-American take” on the moon landing. Mr. Gosling claimed: "I think this was widely regarded in the end as a human achievement and that's how we chose to view it. I also think Neil was extremely humble, as were many of these astronauts, and time and time again he deferred the focus from himself to the 400,000 people who made the mission possible." "He was reminding everyone that he was just the tip of the iceberg, and that's not just to be humble, that's also true. So I don't think that Neil viewed himself as an American hero. From my interviews with his family and people that knew him, it was quite the opposite. And we wanted the film to reflect Neil." Mr. Gosling admitted jokingly: "I'm Canadian, so might have a cognitive bias." Libs are ashamed of our progress when they see countrys worse off than us. If they cannot bring the shthole countries up to our standards they will be content dragging our country down to the shtholes level. Vote them out!! I won't see the movie. I dont join boycotts, but that just makes me mad. A majority of Hollywood has been Anti-America since the late 1960's. America figured that out and that is big reason why so many movies that cast America in a Negative light are avoid in the last 10 years. Lack of originality (crappy remakes), plays another part also. Some one needs to put together a long list of American Hollywood Actors with the name of ANTI-AMERICAN themed movies. Plus how many won nominations or awards voted on by their own Hollywood click and kind, for making a ANTI-American Movie. What did you expect? It was all done at Pinewood studios by someone named Kubrick.